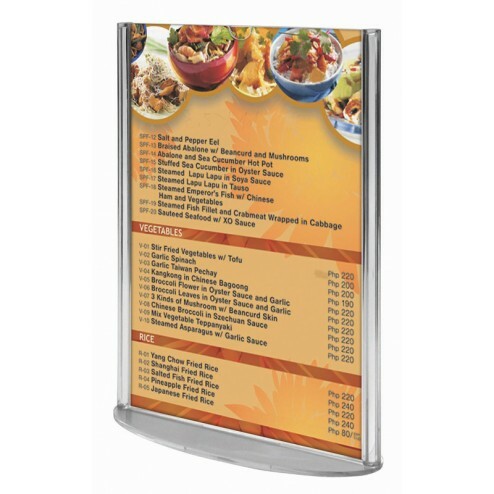 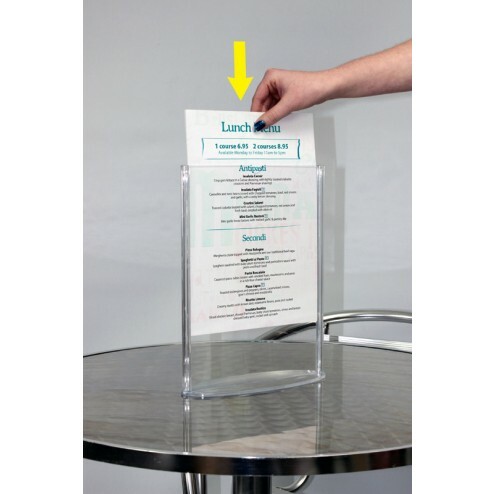 A smart and effective way to keep your menus and other promotional materials visible and protected, this clear acrylic oval menu holder is the perfect display solution for restaurants, cafes, bars, bistros and pubs. 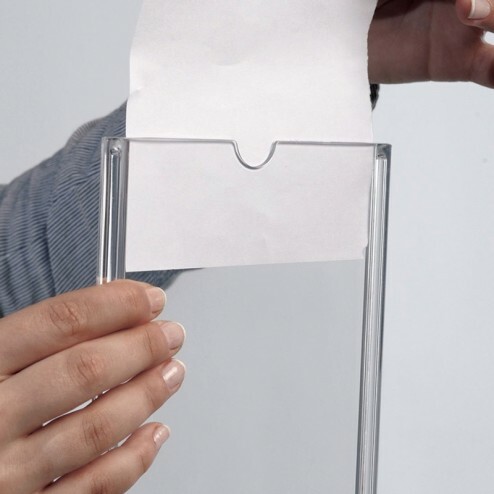 The simple design also makes the versatile poster holder suitable for displaying leaflets, brochures, information sheets and promotional graphics at trade shows, expos, conferences, exhibitions or in corporate reception areas and on hotel welcome desks. 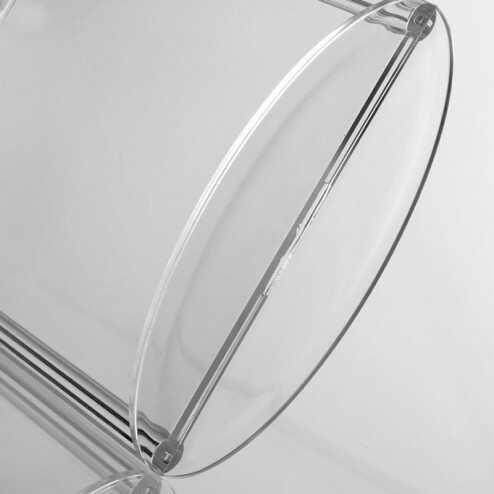 The clear acrylic moulded stand has a modern oval based design, and is easy to use and update in seconds – the menu or graphics sheet just slots into an opening along the top. 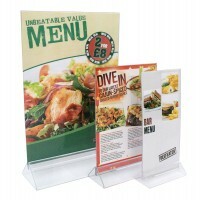 Holding your materials in a portrait orientation, the display stand is available in three different standard sizes - choose from A6, A5 or A4 – and the transparent design allows the menu holder to be used as a double sided display, so you can choose to duplicate a single message on both sides, or add 2 different messages in the single reversible stand by placing the posters back to back. 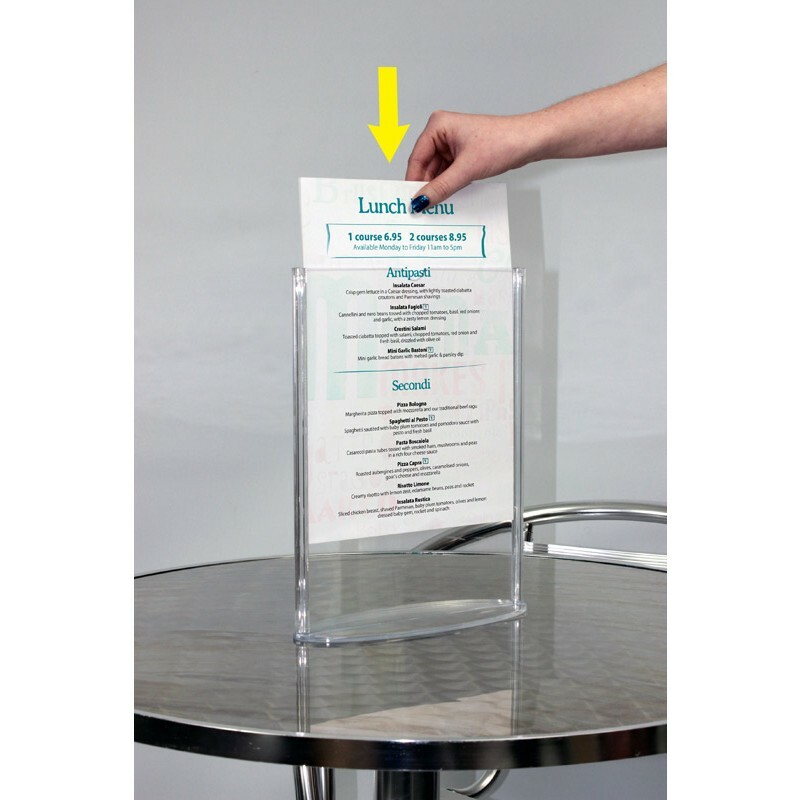 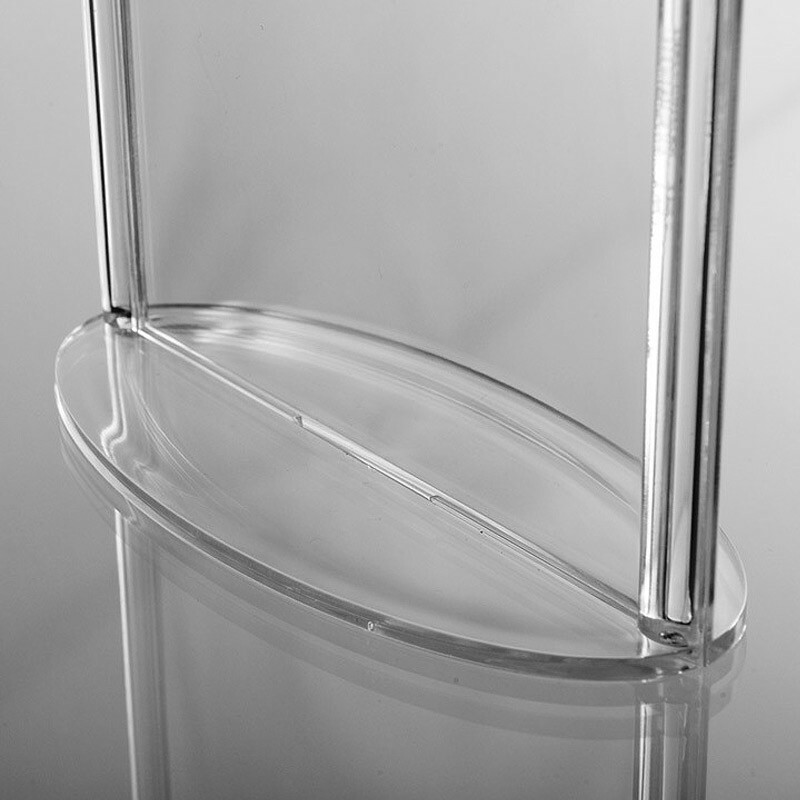 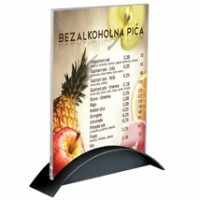 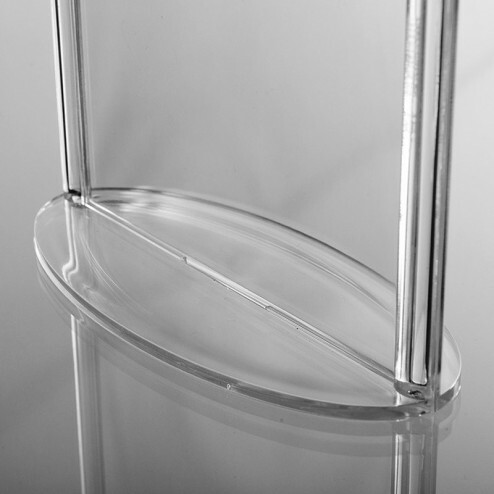 As well as standing on restaurant table tops holding menus and daily specials lists, the protective acrylic holder is suitable for use displaying staff information on reception desks, corporate promotions in customer waiting rooms, listing event timings at exhibitions or conferences and to present promotional offers at POS points. 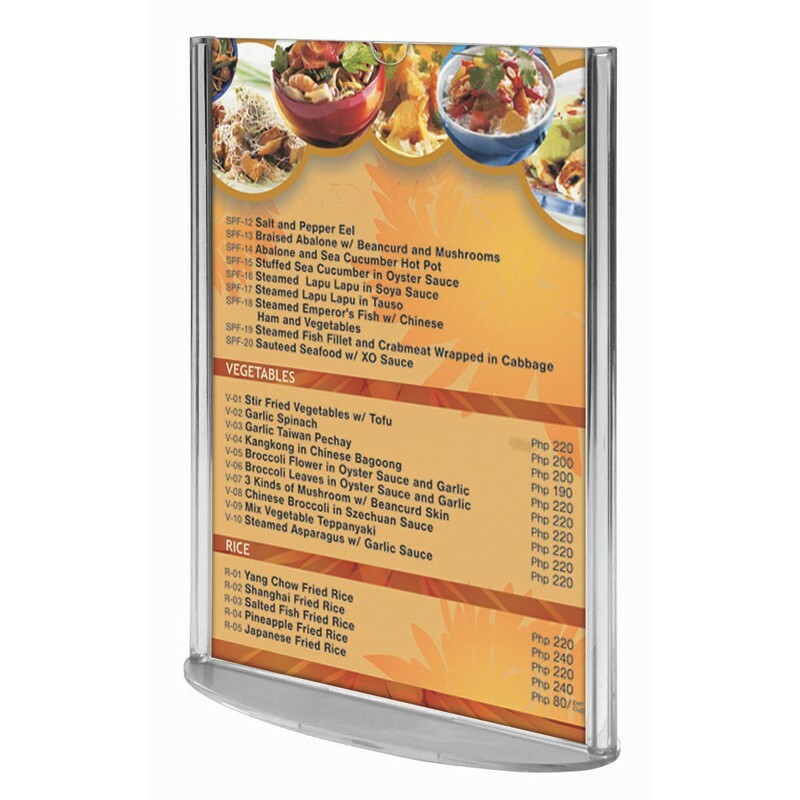 Clear, simple and cost effective, the menu holder is quick and easy to update, and transforms unused counters, tables, shelves or clear surfaces into advertising space with professional looking promotions.